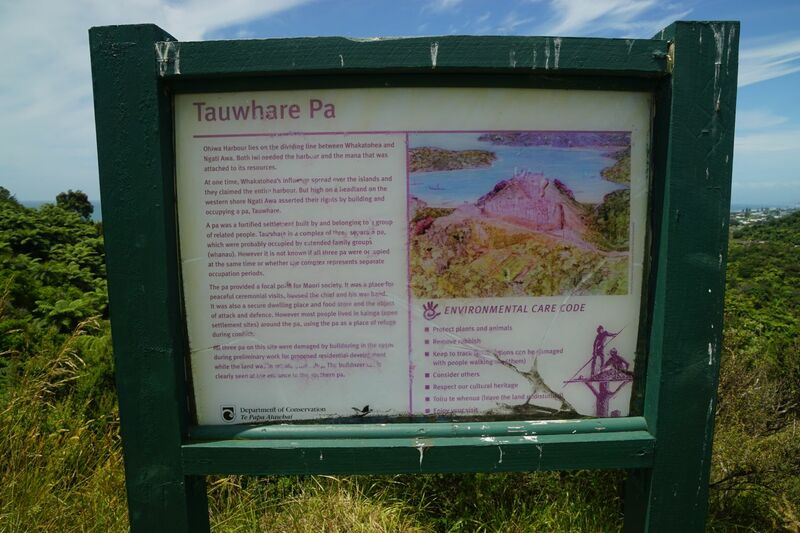 The walk to Tauwhare Pa is a very short and easy walk on the outskirts of Ohope, accessible from Wainui Road. There are 3 pa on the site, but all were damaged in the 1950s when work was done on a potential residential subdivision. 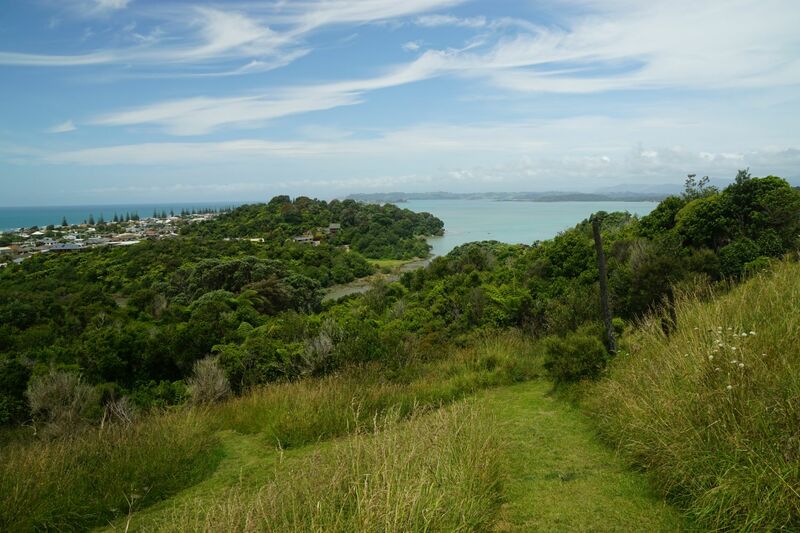 There are views from the pa sites to the eastern part of Ohope, and across Ohiwa Harbour to Ohiwa and Wainui. 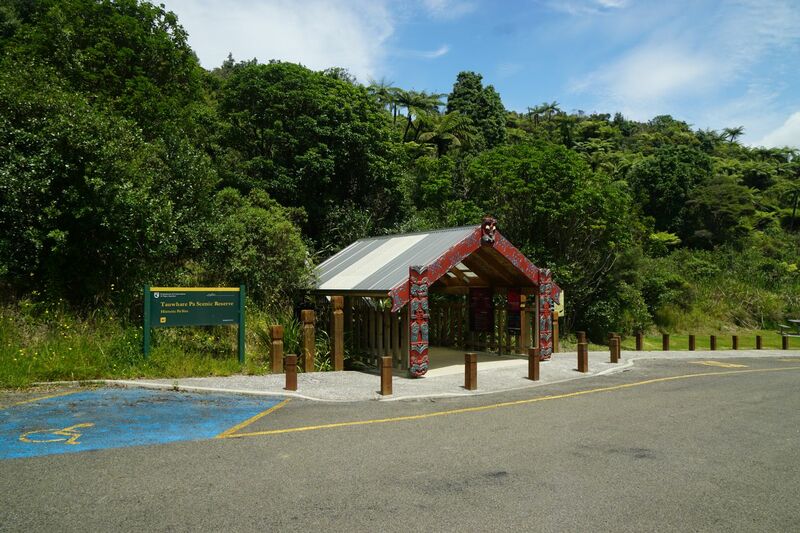 There is a parking area off Wainui Rd with information panels and a carved waharoa, or entrance, to the site. 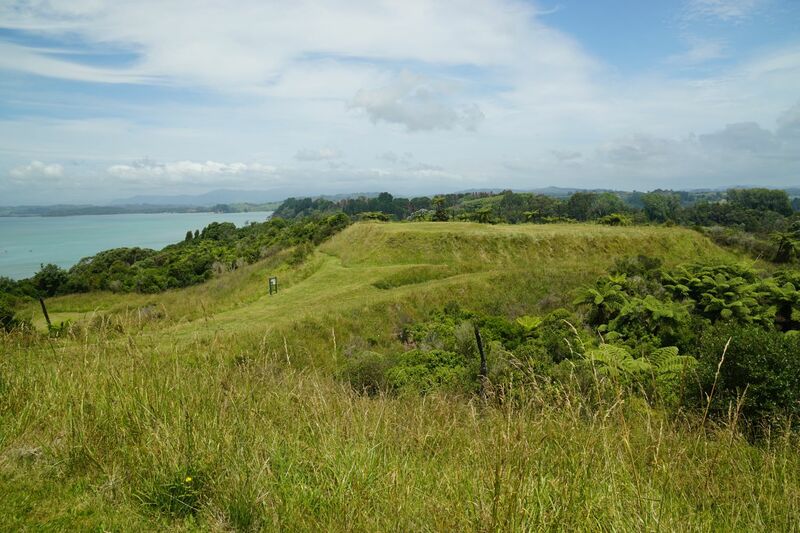 Information about the reserve can be found on the Ohope Beach info web site and there are information panels on the pa sites. Total distance walked to visit all 3 pa sites was about 1.5 km, and took close to 30 minutes, including time for photos and reading information panels. 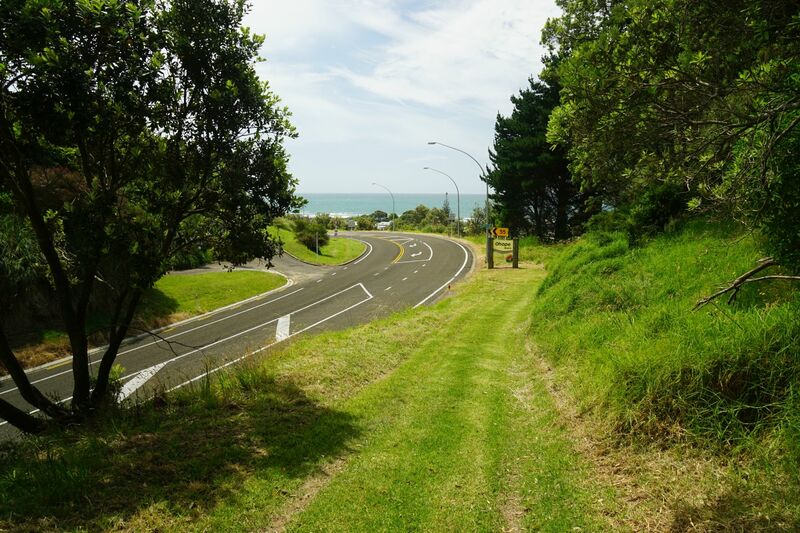 The entrance to the parking area and reserve entrance off Wainui Road, on the outskirts of Ohope. 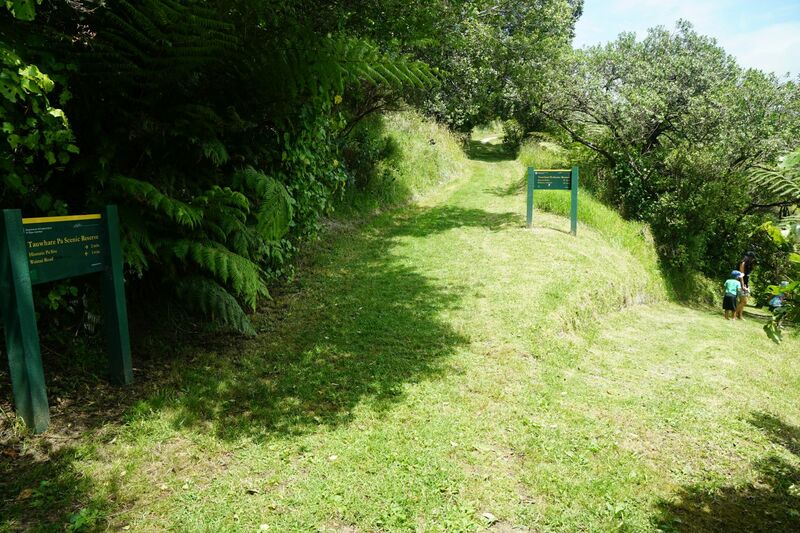 The waharoa or entrance to the reserve, with a short, easy track to the pa sites. 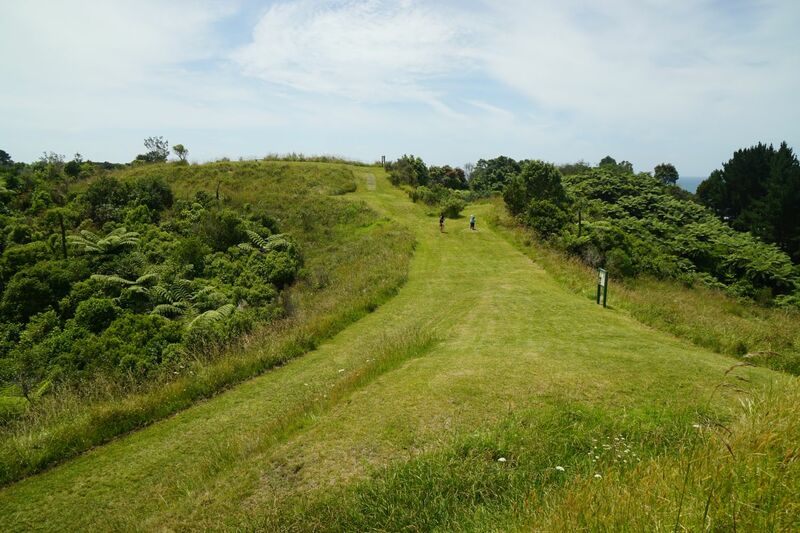 The grass track is on a gentle slope up the side of the hill. On the signs the total time from the carpark (down to the right) to the first pa site (up at picture centre) is expected to be 4 minutes. 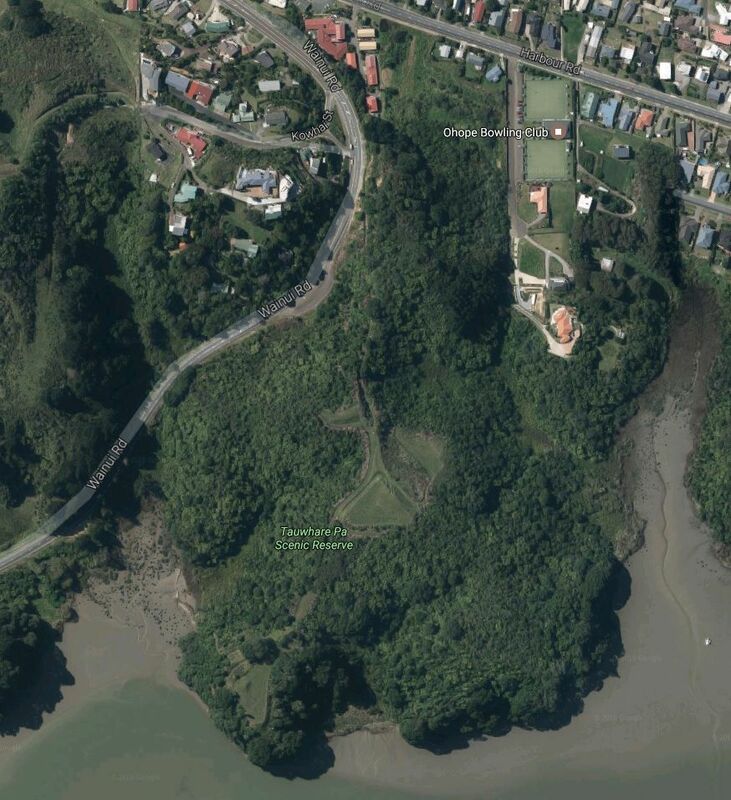 An alternative track to Wainui Road is at the bottom of the picture. Information about the pa sites. Click on the photo for a larger view where the text should be readable. Looking from the northern pa to the middle pa. A flat area lower down on the far left forms part of the site. View from the middle pa site towards the northern pa site, with the track from the carpark to the right of the elevated pa.
View from the centre pa site towards the eastern end of Ohope, with Ohiwa headland on the far side of the Ohiwa Harbour entrance. The harbour is on the right. A mowed grass strip forms the path to the southern pa site. A track down to the left follows one of the trenches around the pa, returning to the site at the southern end. 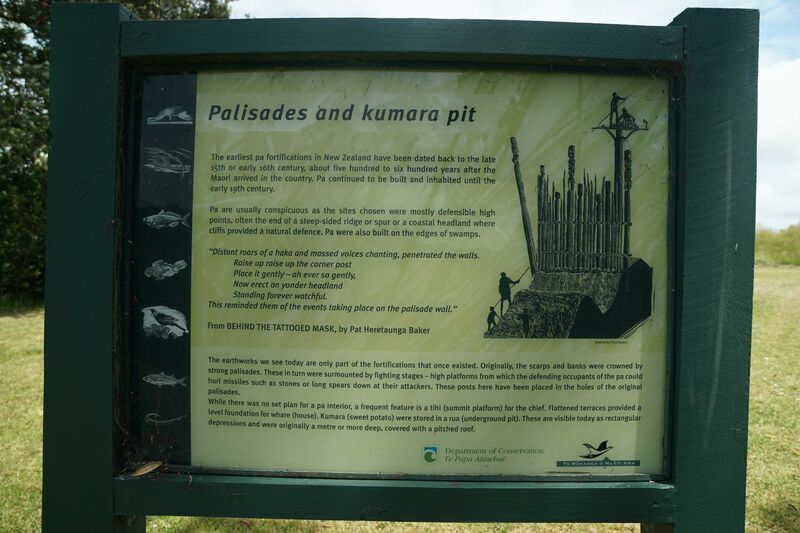 An information panel about palisades and kumara pits at the southern pa site. View across Ohiwa Harbour from the southern pa site. 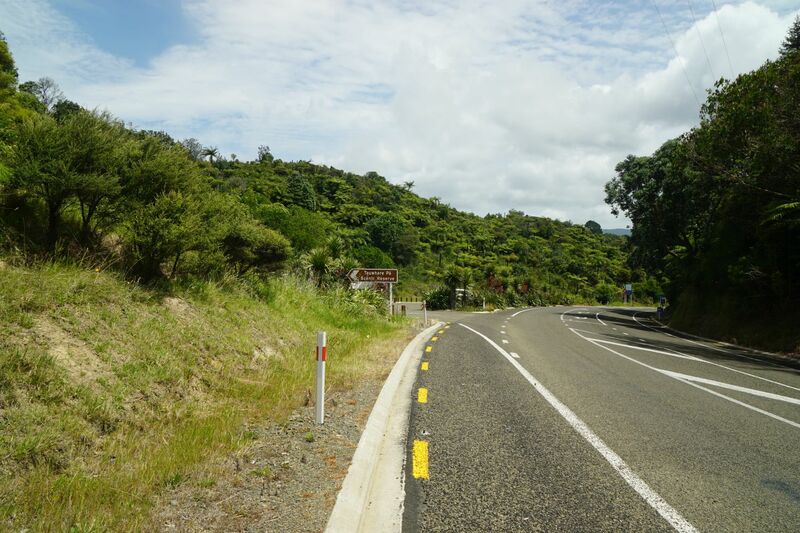 An alternative return track near Wainui Road returns to the road closer to Ohope, directly across from Kowhai Street. A short walk along the road returns to the car park and reserve entrance. 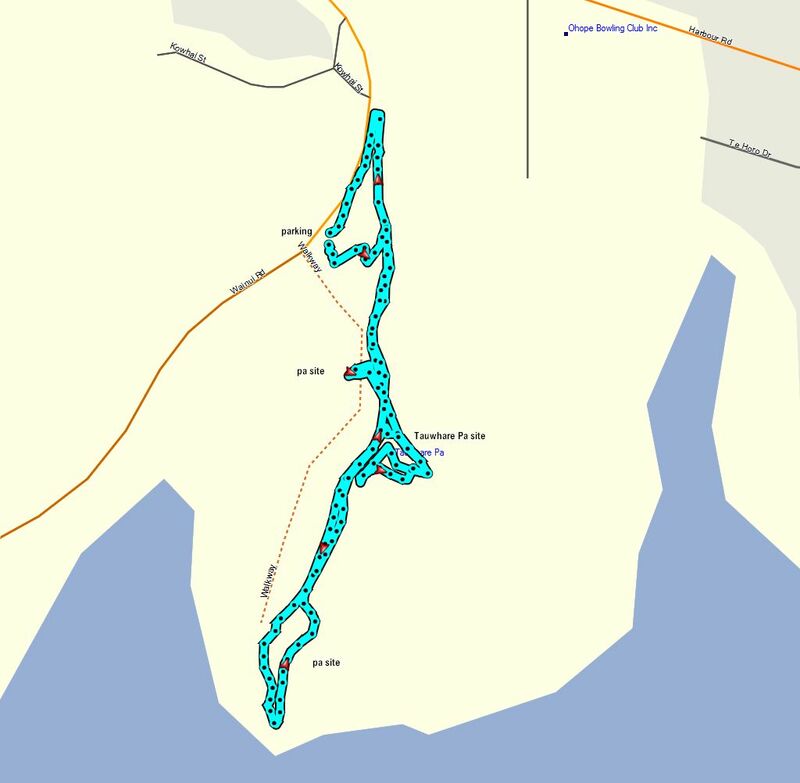 The GPS tracklog shows the route followed. The aerial image, from Google Maps, shows the same area as the tracklog map. 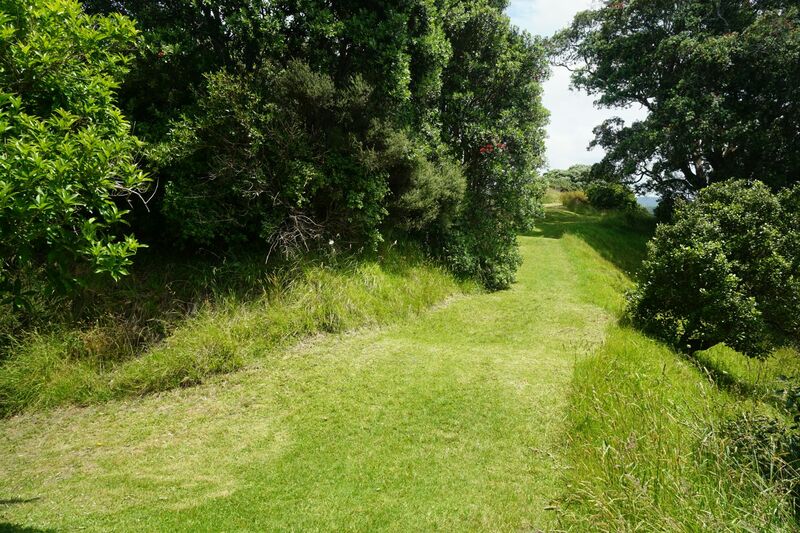 The 3 pa sites can be clearly seen as grass areas within the bush covering the scenic reserve. The tracks were walked on December 18, 2016. 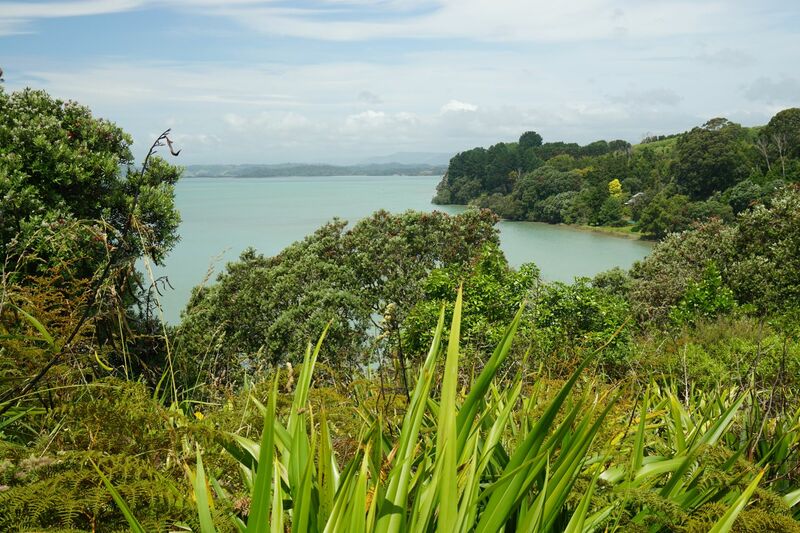 This entry was posted in Walks and tagged Ohiwa Harbour, Ohope, Tauwhare Pa on 2016-12-19 by nzartig.